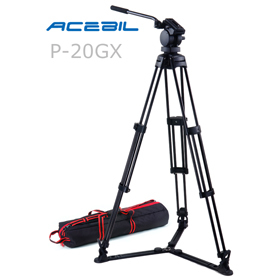 The P-20GX Professional Tripod System includes a 75mm H20 fluid head, T750 aluminum tripod, GS-3 ground spreader, and an S-50 carry case. 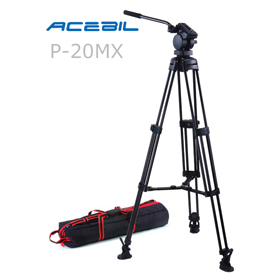 The P-20MX Professional Tripod System includes a 75mm H20 fluid head, T750 aluminum tripod, MS-3 mid spreader, RF-3 rubber feet, and an S-50 carry case. 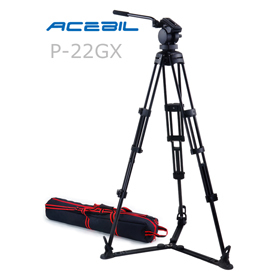 The P-22GX Professional Tripod System includes a 75mm H20 fluid head, T752 aluminum tripod, GS-3 ground spreader, and an S-52 carry case. 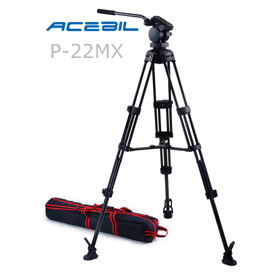 The P-22MX Professional Tripod System includes a 75mm H20 fluid head, T752 aluminum tripod, MS-3 mid spreader, RF-3 rubber feet, and an S-52 carry case.